Hanoi will have Vietnam's tallest building ever with 65 floors comprising offices, apartments, a shopping centre, supermarket, cinema, health care centre and car park. The complex is expected to be located at the corner of Lieu Giai and Dao Tan streets in Ba Dinh district in Hanoi. It will cover an area of 14,094 sq m, and will be 195 m high. The total investment capital is US$114 million and it will be finished after 3 years meaning it will be in use before 2010 to celebrate Hanoi's 1000 years anniversary. Is it a good idea? 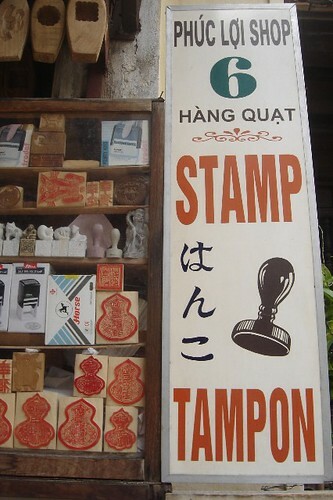 Tampon or stamp are different words in English, but here in Vietnam they have the same but different meanings which confused me when I looked at the sign of the shop. The sign made me wonder what tourists would think about what they actually sold. Funny! 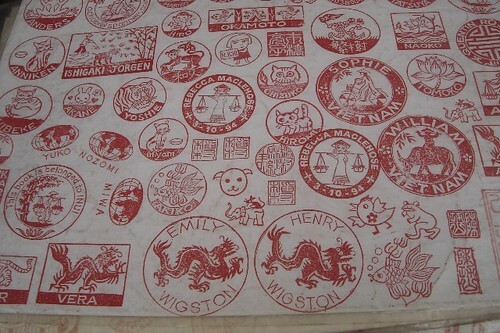 I bought a stamp with Misa's name on it, hoping that I could get a story from the shop which I can share with you guys. I think getting your own name on a stamp is a good idea so that you can stamp it on a letter or postcard( maybe it's a silly idea for you). 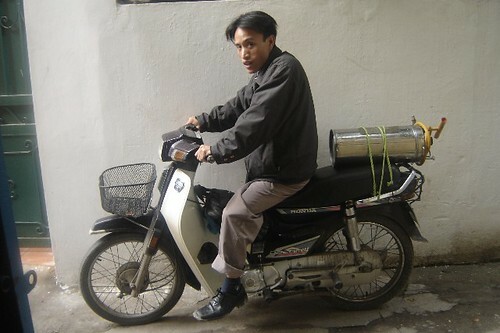 This is one of the traditional businesses in Vietnam. It would be a pity if the craft didn't survive as this particular man started his business after his father in1990. There are two shops with the same name because they are family, the staff are very young and as the owner said to me " this is not difficult to learn and make but you need to be patient and creative." The boy in his shop is doing well even though he only just started a year ago." 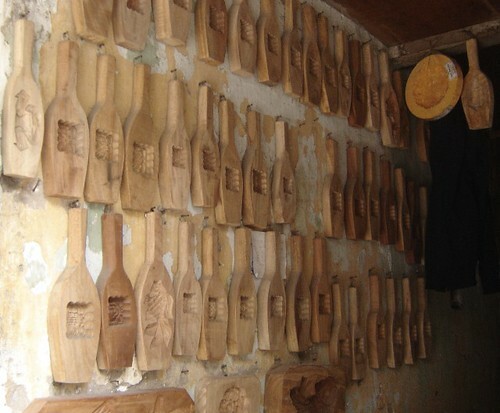 They also make wooden moulds for making cakes which are really popular for Chinese and Vietnamese. 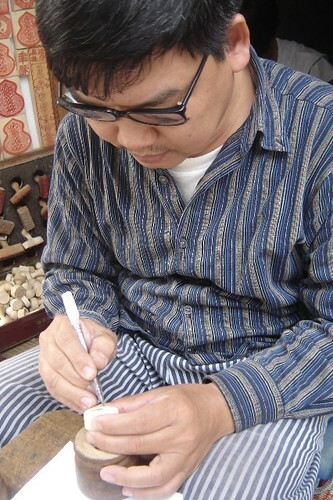 His shop has been reviewed by many magazines in and out of Viet Nam, and I think this kinf of craft is popular with the Japanese because I saw many Japanese coming to his shop for their own stamps and he also has so many samples available in Japanese. I asked him about his customers and he told me more Asian people are interested than western people. 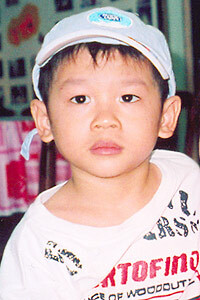 Finally, Angelina Jolie adopted another baby and this time it's a Vietnamese boy. 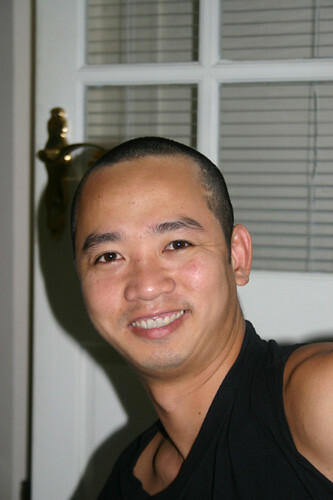 His name's Pham Quang Sáng but she has changed it to Pax Thiên Jolie. Following the magazine translations of his new name,"Pax" means "Peace" and "Thien" means "Heaven". Vietnamese staff at the Tam Bình center said in the press that Jolie's a very nice lady who loves children and knows how to deal with them. They are really happy for Pax Thien Jolie and hopefully he will have a better life full of luck and happiness. 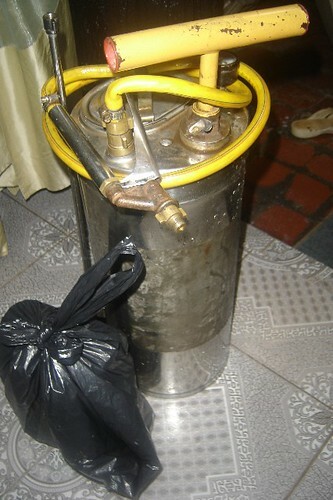 The latest news is that Pax Thien Jolie's real mother is a heroin addict and she didn't sign anything on the paper yet. Apparently, all the signatures on the paper are from her parents. Her father said in the press that she's a nut and he's afraid that if she realized that her son had been adopted by a really famous actress then she may try to find some way to get money or try to get him back. I don't think she can do anything because they all signed a paper and it has been approved by the government. 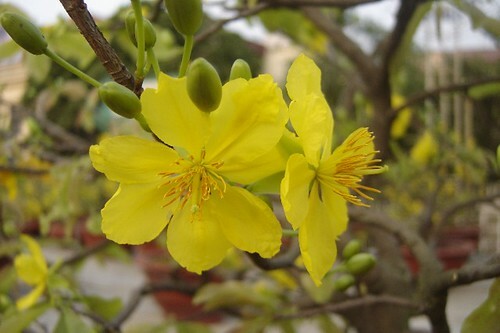 All the best for Pax Thien Jolie, a better life and be a good person. 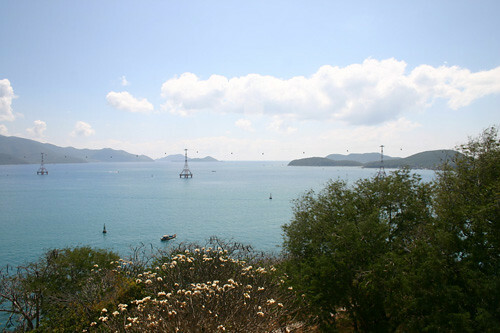 On my trip back to Nha Trang for Tet, my most disappointing moment was when I saw the cable car which connects Vinpearl Resort and Nha Trang City. I wonder why the local government allowed this project. It's also created big trouble for tourism now which is the main income for the city because the cable is not high enough for those 5 star cruiseships to dock in the port. 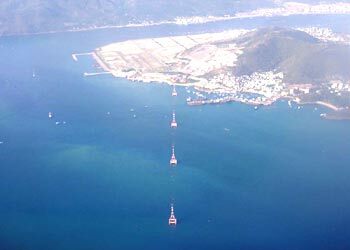 Nha Trang port is an international port which, along with tourism, provides loads of jobs for locals but it seems that these jobs might be lost. It's difficult to compare 100,000 dong per person for a return trip from Nha Trang City to Vinpearl resort to the value of showing thousands of people from all over the world who travelled thousands of kms with star cruises to Viet Nam and willing to visit Nha Trang Bay. I am not talking about the money. I want to mention that Viet Nam now opens their doors to let people from over the world see how beautiful and friendly Vietnamese are. So, that cable car actually stops people who really want to see Nha Trang as it really is, how friendly people are and how great Nha Trang food is. I wonder why? I wonder where the cable car fees go? 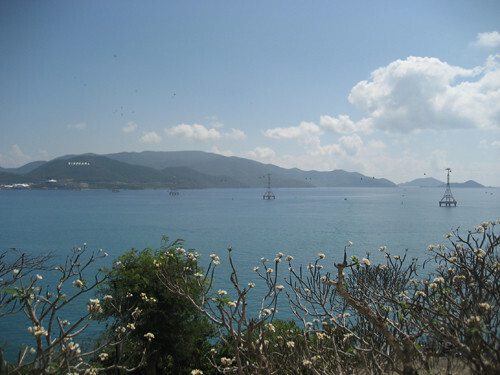 I think they are ruining Nha Trang Bay which is one of the 29 best bays in the world, voted by World Heritage in 2003 and Nha Trang people are so proud of that. Nha Trang have tried so hard to make it beautiful and clean with a good atmosphere and maintain nature and beauty for those of us who love traveling, love to sit on white sandy beach and eat great fresh seafood and talk to nice friendly people. A lot of regular visitors to Nha Trang are very sad and upset about the appearance of the cable car which has ruined the whole bay's view. There are some local people who think that this new thing is modern, looks cool but this is just a really small percentage and I don't agree with them. Sorry!!! I wonder if the world heritage knows about this, about the ugliest and longest cable car. 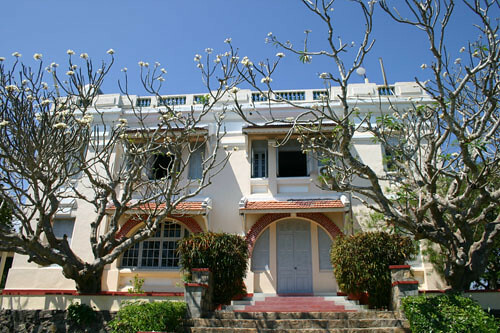 Please, please remove this ugly thing and give back Nha Trang as it used to be. 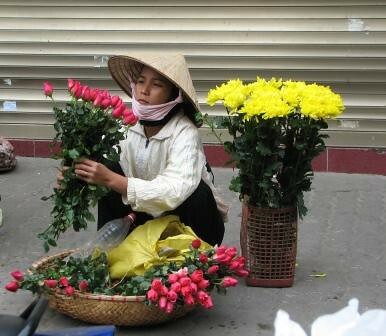 When talking about Hanoi, people mention the beauty of the 36 classic streets with 1000 years of history. 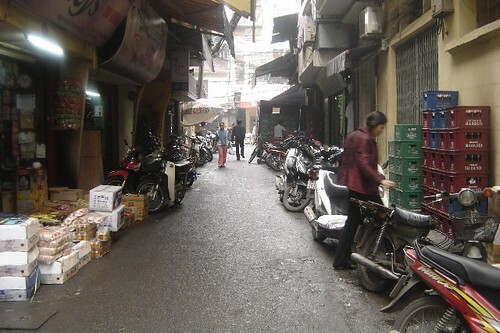 Located between Returned Sword Lake and Long Bien Bridge, these streets start with the word Hang, which means merchandise or shop, and its named for a product or service. No matter how tall and skinny a building is in the old quarter, it seems that there is always room for one more storey. This is real Viet Nam can't be seen anywhere else in the world. Nowadays, people use its beauty and history to do business. You can hardly walk on the pavement because people are using it for their own business and motorbike parking on the street which is not very good or safe for visitors. Street police wander around shouting loudly to whoever leaves their motorbike in the wrong place. 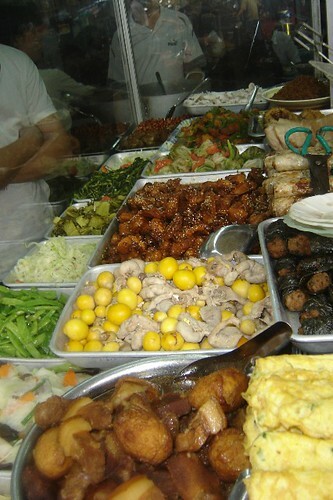 All these things can make Hanoi difficult to live in at times. 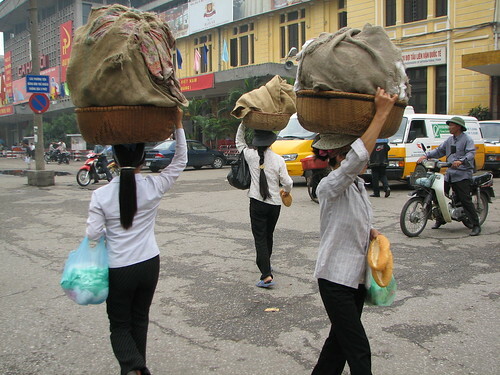 There are big markets in Hanoi but also there are thousands of people from the countryside also doing their own business by putting their stuff on bicycles or walking with stuff on their shoulders or even on their heads. The police try to stop this kind of trading constantly but it still happens and looks like it will never stop. But actually, this is the only way they can earn some money for themselves and send it home to help their family. 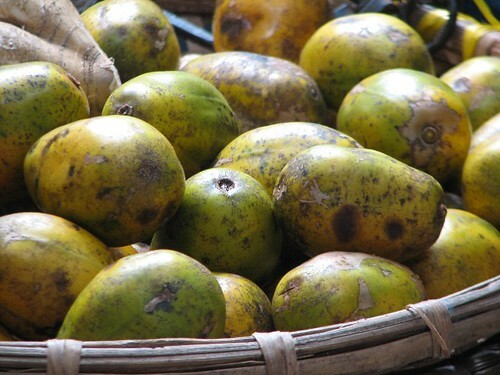 It's also fun to watch sometimes, but sometimes, it's annoying because they keep asking tourists to buy from them or take photos then by some fruit from them which is not really nice. Any corner can be a small market where a few people sit next to each other, selling few flowers, pets or even just some candies. Where are all the traditional streets which sell their own products? There are not many of them still around such as Hang Ma streets or Lan Ong street where you can smell the Chinese medicine. Why don't Vietnamese try to preserve the beauty of our great traditions and history? 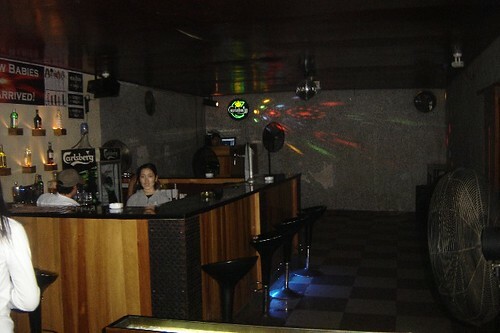 There are hardly any good bars in Hanoi because Hanoi is the capital city and the police are pretty strict. Shops and bars have to close at a certain time. This is a beautiful city of lakes with thousands of beautiful old trees along the streets. Everything seems right here except the entertainment. 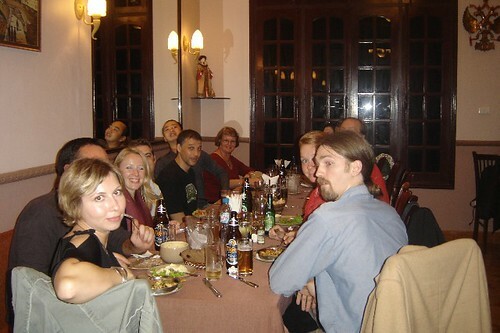 We went out with our friends for dinner at the Russian restaurant and most of my friends went to Le Pub but Mark and I went to Solace Bar to meet our Belgium friends, Sarah and Bart for a weekend dance. The bar is nothing special, it also can be called a hole :) but they hired a quite good DJ and very friendly staff which is the most important. This bar used to be Titanic Bar which was also very popular as a late bar for both locals and westerners. Finally, I can say that I've been there, as I have heard people talk about it so many times. 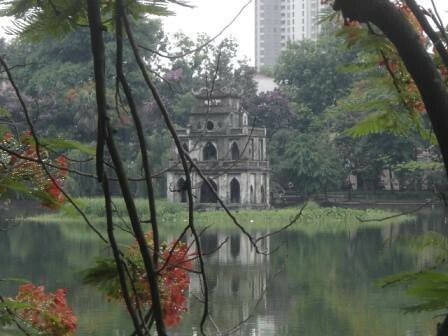 It's located on an old boat and on the side of the Red River, one of the most quiet parts of Hanoi at night. They have a small area as a dance floor which is packed from around 1 am to 4 am. Amazingly there's no police coming to check like the other bars in the old quarter, they must have a really good relationship. If you are tired of dancing and feel like eating something, go to the left hand side of the bar. 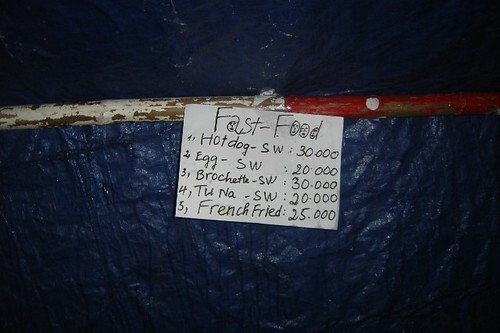 There is a pregnant lady who's selling french fries, sausages, hotdogs, sandwiches, and BBQ... She told me that I shouldn't take any photos of the menu because her writing's awful then she laughed out loud. She's a really friendly woman. Check out her food after you've had a few beers. I walked around the old quarter today trying to take some photos of a few interesting places. Time passed by so quickly and I started to feel so hungry. After ten minutes of wandering around trying to find somewhere which looks clean and cheap because I didn't plan to have lunch out today. Finally, I went to a small shop which looked quite clean and there were lots of choices for food. I chose some eggs, some tiny shrimp paste, some stir fried vegetables, some stir fried spare ribs with sesame and some broth. I actually enjoyed my meal which cost only 20,000Vnd while speaking a few words with an old man from the countryside who drank a whole bottle of rice wine during his meal. He was hilarious with his strange accent and he invited me to drink wine with him, too. Oh my gosh, how can I keep up with him. 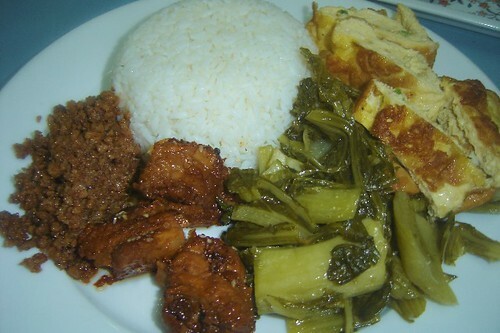 If you get lost in the Old Quarter at lunch time, go to 40 Cau Go street, cheap and good. Good luck! My Russian friend, Lana works as public relation manager at Focus travel. She's going to Moscow for 2 weeks for a business trip which was a good excuse for a meal to catch up with a few friends. 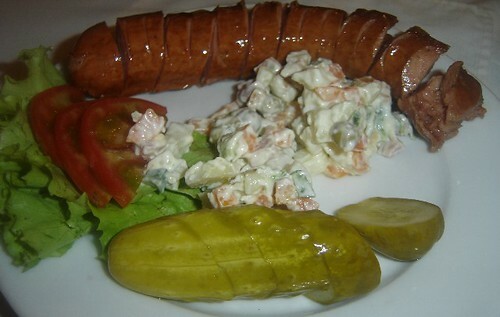 The Russian food was a bit different to anything I've had before. 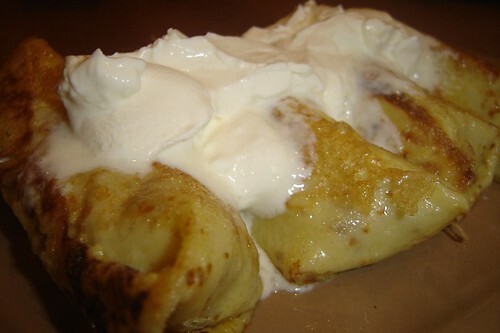 Some of my friends said that it was a bit rich like French food. I like trying new food and giving you guys some feed back. Sorry, I can't really remember exactly what we ate and the food might be good for Russians but my friends and I didn't enjoy it that much. It was also quite expensive when we thought about the size of the portions, the presentation and the atmosphere of an empty restaurant. The service was poor because the staff couldn't remember the names of the dishes and they bought the starters after the main courses. The wine and beer was not cold at all and we had to wait for almost half an hour for the wine to be chilled, and my friends had to drink beer with ice. I want to mention one more time that this is not a cheap restaurant and we were the only people in the big three storey restaurant. Wrong choice for the meal but we had a good time together. 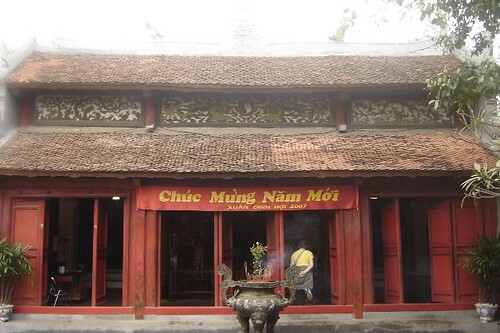 Ngoc Son Temple is located on a small island right in the middle of Hoan Kiem Lake(Lake Of The Restored Sword) which is also considered the center of Hanoi. 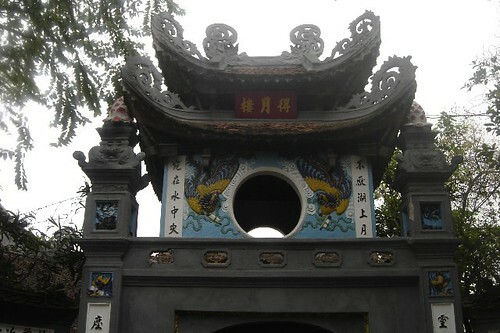 One special feature around the entrance to the Tam Quan ("Three Passage Gate") is that there are poems which are written on each pillar. This is one of the most common stops for tourists who walk past. 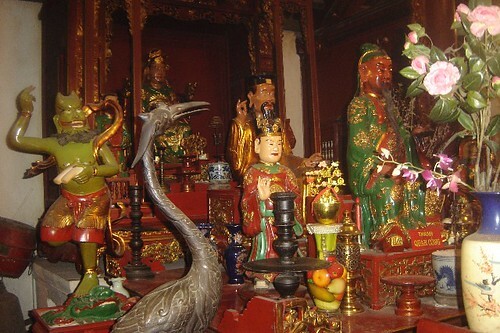 The temple is such a peaceful place in this busy city and is also popular for photographers, amateur and professional. The mix of the temple and the lake is very attractive. Nowadays, there are a few giant tortoises still living in the lake and sometimes they come up to the surface of the water for a very short time which attracts the attention of tourists and local people. The locals say:" If you see those giant tortoises then you will be lucky for a year". I am such an unlucky man. I've never seen them. 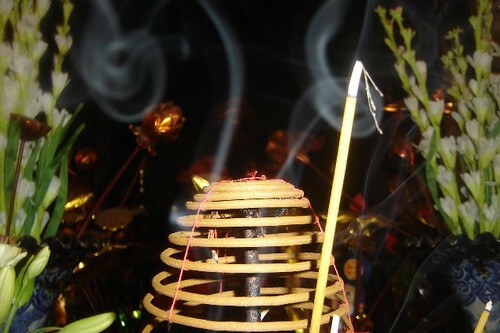 If you ever come to Hanoi, I think you should walk in and put a stick of insense on the altar to wish your family, your friends and whoever you love good health, success and wealth in life. 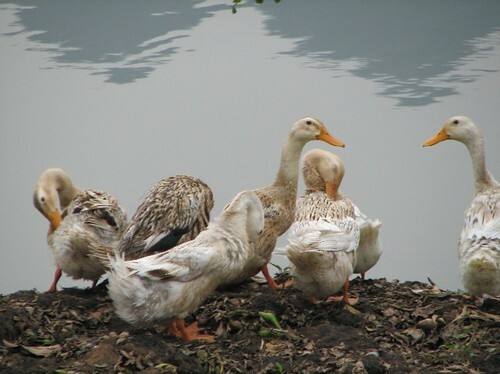 A while ago, I posted the first part of a story about my job hunting experiences in Hanoi. This is part II. I also went to the Sunway hotel looking for a receptionist job, and I got the funniest result ever. I came in with my friends who also used to work at the Emperor. 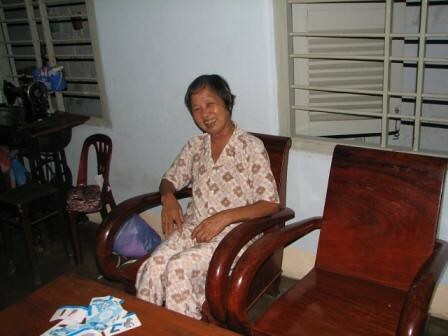 Her English is fine and she's from Bac Giang, north of Hanoi. We had interviews and they called her to offer her a job and I failed. She asked the human resources manager about me, and he said: "my Vietnamese accent is bad and my English accent is so wierd." It made me laugh. I didn't think it was important for foreign customers in a 5 star hotel to understand my Vietnamese accent. I decided I would have to speak in Hanoian accent from then on if I wanted to have a job, I joked with her. After some of these work hunting experiences, I realized that Hanoians think that when you are from the country side or from another city, you really need a job and you have to accept any job with whatever salary. They don't realize that we don't do that in the south. There, employees do need qualifications but the most important is what you can do and if you do it well then you get a better job. This is the opposite in Hanoi where they always ask for many certificates but for what? There are so many people who don't have ceritficate but they do a better job than the others because they started their job from a very low position or they started work early in their lives. What do you really think about this? If you are a boss of a company, will you accept a new staff member with lots of certificates or a staff member with experience? 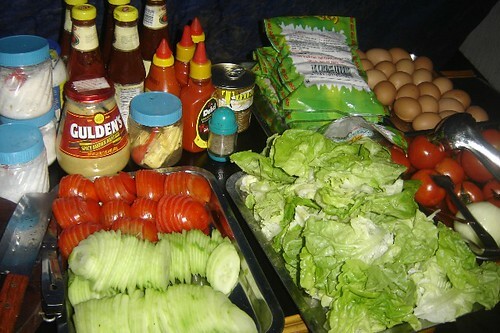 My family invited my friends to my house for Vietnamese Tet dinner and my mother cooked Vietnamese food. I hope everyone enjoyed the meal. 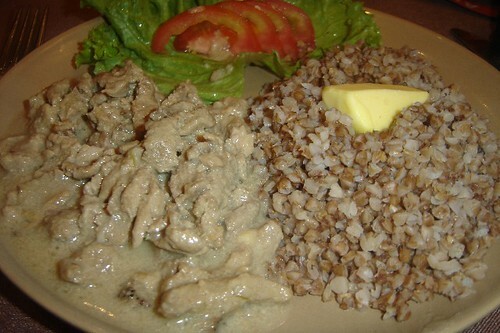 My friends couldn't believe that we Vietnamese eat so much wasabi with fresh tuna that it almost burned their throat. Marije, Sandra, Gaylene, Eric, Mark and I went to the Louisianna bar right on the beach to sunbath for the whole day and pay 20,000Vnd for each beach chair. This bar has the same owner as the Sailing club but it has a swimming pool and they make their own beer which is good and much cheaper than at Sailing club. Sailing club isn't as good as it used to be as they now force people to buy entrance tickets that include one drink but it's so expensive compared to other bars, even in Hanoi, 35,000Vn. People still come here as there is a really great Dj. Eric and Gaylene, bloggers from New Zealand currently living in Hanoi were celebrating their 30 year anniversary in Nha Trang and they chose Bao Dai's Villas for their special treat. They also went to Da Lat by motorbike and they loved it so much. They were also really impressed about beautiful Da Lat and the Dream hotel which was only $15 per night with breakfast included(all you can eat and drink including fresh juice). On the last day, my sister invited us to her house. She's a chef at Duy Tan hotel and she cooks really well and we couldn't finish it all because there are so much food on the table. She was so happy to see all my friends at her house. Her husband cannot speak English but he tried so hard and mixed in some Russian and it was fun. After the meal, we went home but my brother called us up and wanted to meet up at Louisiane bar for a drink with him and his friends. Another funny story is that my brother and his friends couldn't speak English well and they also mixed in some Russian songs. Everybody had a great time with lots of beer and I was drunk, too. 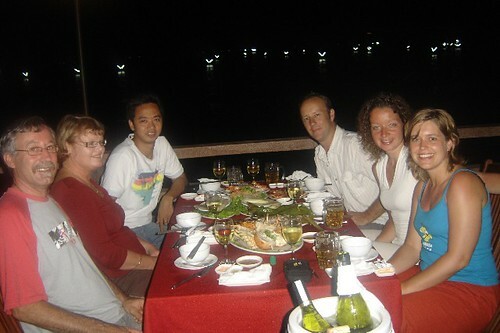 We had such a great time in Nha Trang and we all left Nha Trang on February 25th to return to Ha Noi for work. Farewell Nha Trang, see you soon. The guy was so brave (or silly? )that he didn't wear anything to cover his face even though I offered him a mask which he refused. I don't know how he is going to be after 10 years working in these conditions? I also don't think he gets health insurance or anything from his company to protect his health? I think I should call and ask the company tomorrow. I will think about it. But I am sure they will tell me that they give him all the safety wear but he may have forgotten them. I was surprised that he came in with only a pump and two bottles, I thought they would have sent at least three people to do the job. Anyway, it took him 40 minutes to finished our four floor house and I only paid 200,000Vnd. 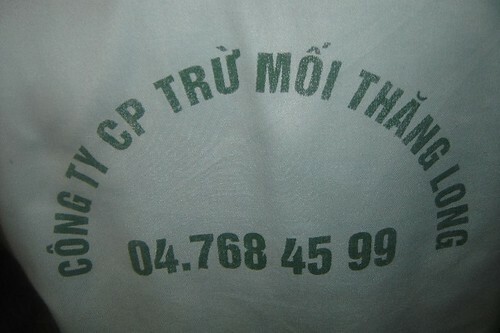 If you live in Hanoi, call his company. The number is on the back of his shirt in the photo at the top. 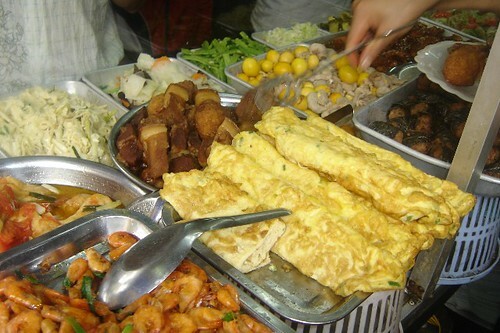 Eric, Gaylene, Mark and I went to Hoa Vien restaurant last night for a weekend feed. The food was acceptable but what we really loved was the Czech beer there. The staff were a bit slack and because there was hardly anyone there, the atmosphere was a bit cold. They make very good sausages but the presentation on the plate was a bit funny. The Chicken salad was the highlight and the grilled pork done Czech style is very special and the chicken wings with tamarind sauce were yummy. Anyway, we had a good meal in a very empty restaurant and I heard one of the staff who was standing at the door say" police coming" meaning the owner was coming. Of course, all the staff stood up and walked around, but they sat down again after he left. Isn't that funny? This reminds me so much about my previous job. 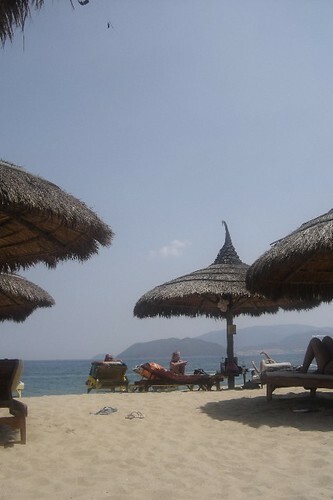 We talked about our holiday in Nha Trang and how much we enjoyed it there. Also Eric had a new haircut and I said that I also wanted to cut my hair. Eric invited me to come over to his house to give me a special treat. Today, I went to his house and I had a No1. The above photo is before and the photo below is after. Thanks to Eric and Mark for the photos. What do you think about my new look? I'm really happy with it and also I don't need any gel or a comb. My friends told me that I look like a monk. Hooray, yahooooooo. My friend Mark, the Stickyrice blogger came to Nha Trang with us too and I took him to Banh Xeo, Banh Can and Banh Dap, Bun Ca, Bun Bo, Nem Nuong and ice cream parlors to try some Nha Trang specialties which he may show people on his website. 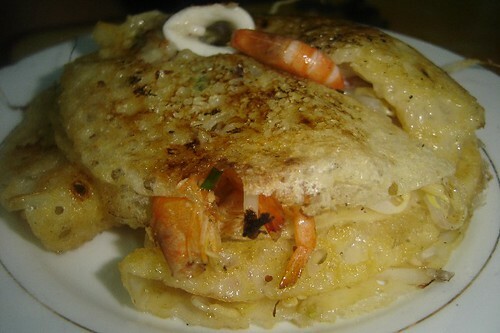 These places are all good and cheap especially banh xeo and banh can with fresh squid and prawns. Misa went to Nha Trang with me as well and I took him to the beach to go swimming once and he seemed to love it so much. We swam together for half an hour before I walked home with him. Everyone was really surprised about Misa. They didn't think that I could take Misa on the plane. 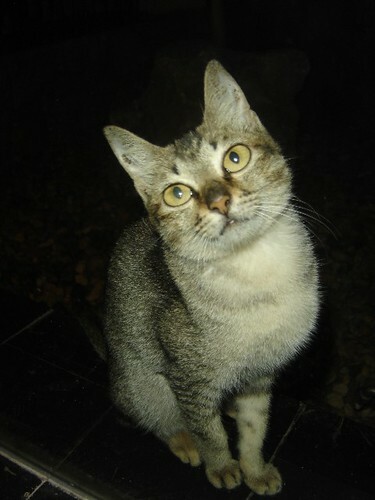 My family wanted to keep him in Nha Trang but I couldn't do that. 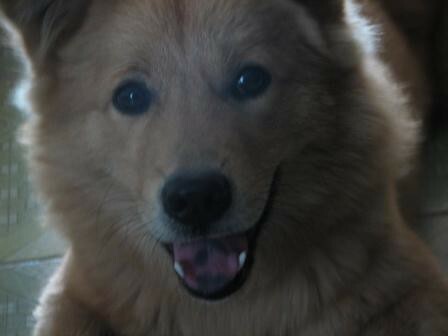 My mother, sisters and my cousins fed him everyday and Misa loved it so much. I am sure that he will miss Nha Trang heaps. After a long day relaxing on the beach, we decided to go to my friend's restaurant called Gio(Wind) for another seafood night. We ordered lots of different dishes to try and we all filled up and the bill was only 550,000Vnd for six people. Another relaxing day in paradise!